The University of Newcastle’s Coal River Working Party is a historical research group formed in 2003 by then Dr (now Professor) Erik Eklund in the Dept of History. Mr. Doug Lithgow, President of the Parks and Playgrounds Movement Inc. approached the University with the proposal to form a team of academic researchers dedicated to the investigation of the early history of Newcastle, with a view to safeguarding the heritage fabric of Newcastle’s birthplace, the Coal River Heritage Precinct. Since 2016 the work of the Coal River Working Party has become part of the Hunter (Living) Histories Initiative, to better reflect the University’s Cultural Collections collaborations across the Hunter Regional communities. General Orders. (1807, March 22). The Sydney Gazette and New South Wales Advertiser (NSW : 1803 – 1842), p. 1. The name ‘Coal River’ was the first European name describing the fledgling settlement that would later become known as the city of Newcastle. We are deep time researchers exploring the history of Newcastle and the Hunter Region from its geological origins millions of years ago (see video from 1:50 min point), to the arrival of Aboriginal people thousands of years ago, right up until European migrant arrivals from around 200 years ago to the present. The Macquarie Pier Commemorative Plaque unveiled by Her Excellency Professor Marie Bashir AC CVO, Governor of New South Wales at a ceremony at the Nobbys Surf Life Saving Club on the 4 August 2010 at 4 pm. The Coal River Working Party functions under a multi-disciplinary model with volunteers coming from a variety of academic and community research backgrounds including history, engineering, geology, surveying, archaeology, creative arts and education and share a special interest in research and conservation of Newcastle. There are also representatives from the local Aboriginal community and various corporations and government departments. Originally the group focused research on conservation of the Coal River Precinct, but has broadened its focus to look at other places in Newcastle such as the Newcastle Government Domain, as well as the wider Hunter Region. Collaborations are encouraged between academic staff, students and organisations to interpret the array of historical material relating to early Newcastle and the Hunter Region. Since 2016 the University’s Coal River Working Party is now part of the wider Hunter (Living) Histories Initiaitive. Some of the projects have involved developing new ways of presenting history using contemporary technology and media. For example see the extraordinary 3D Virtual Time Machine work of Charles Martin. This wide disciplinary approach lets other narratives be explored so that further research can be undertaken to generate new knowledge and ideas. The aim of the Hunter (Living) Histories Initiaitive is to help restore Newcastle and the Hunter Region’s significant historic achievements back into the Australian story. The aim of the group is to achieve positive outcomes for history and heritage in the Hunter region. The Hunter (Living) Histories Initiaitive (HHi/CRWP) aims to protect Newcastle’s culturally important landmarks in the Coal River Precinct that were only placed on the NSW Heritage Register since 2004. 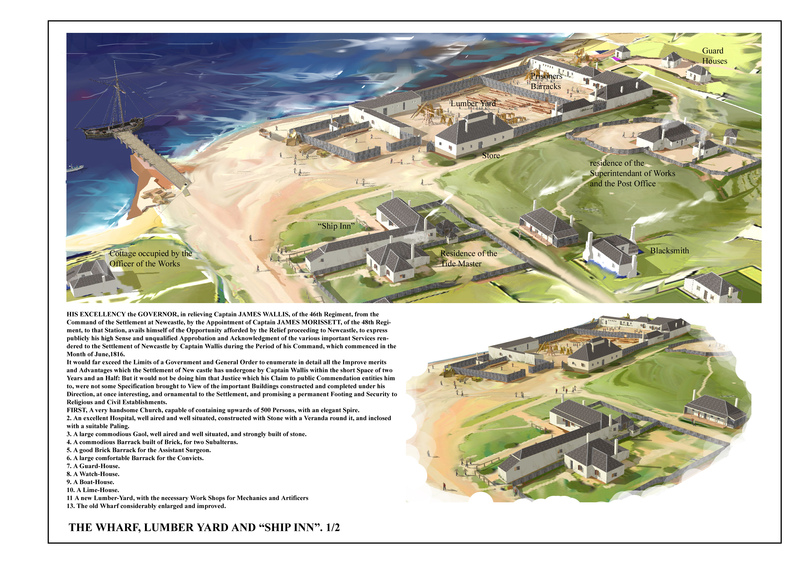 The overall vision is to create an Interpretive Centre and Heritage Park to express Newcastle’s unique Aboriginal, convict and industrial heritage and a management plan for the entire site. We also seek to inspire a renaissance in new and symbiotic approaches to energy and cultural innovation across the regional, national and global community. in the making of the Australian nation. We meet once a month, on Monday afternoons, and have a dedicated officer of the University, who is employed 2 days per month as Historian, Creative Industries & Digital Humanities Projects Co-ordinator to organise and document the meetings of the CRWP as well as provide transdisciplinary support to scholars and researchers across disciplines and across institutions and the community with regards to Hunter (Living) Histories Projects. If you have something to offer and wish to take part, consult our meeting dates page, where you can find where they are held, and also see our achievements to date.